Now it's -15° and we're all freezing our balls off, but some time ago it was still around the pleasant zero. 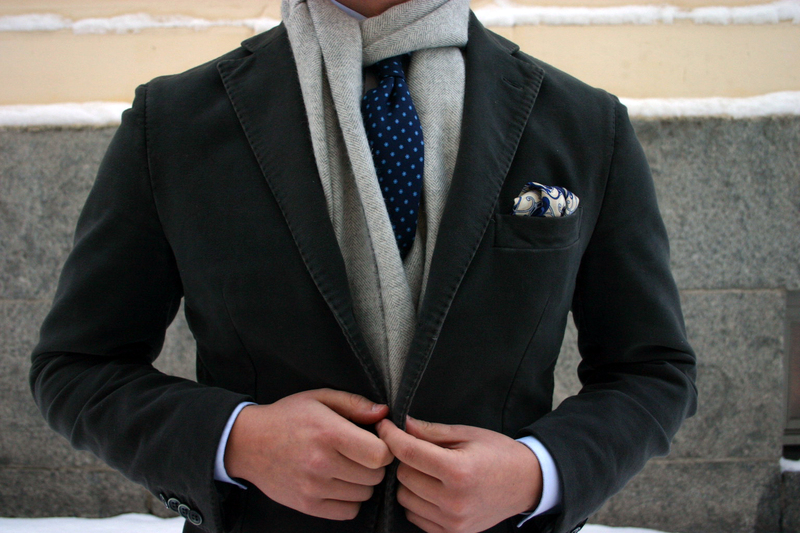 I went for the warm odd jacket and scarf combinations, and picked my LBM 1911 moleskin jacket. 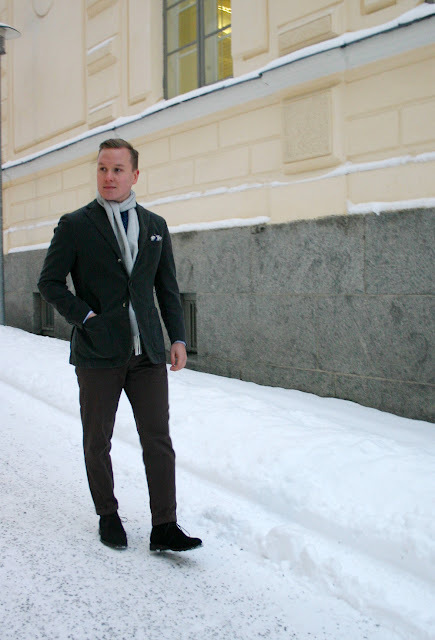 The other items include a sky blue spread collar poplin shirt, light grey herringbone alpacca scarf, blue floral silk tie, white and blue wool pocket square, brown chinos and espresso suede chukka boots.